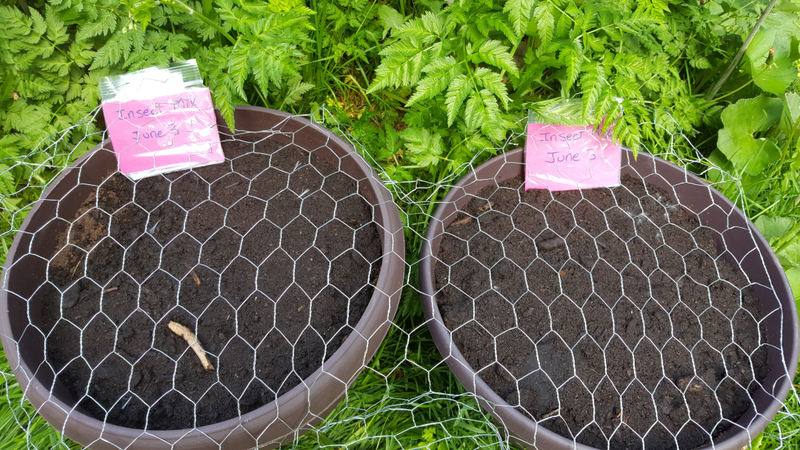 June the 3rd was the day I finished planting all of my seeds! My garden is now done and it's all up to the weather now. 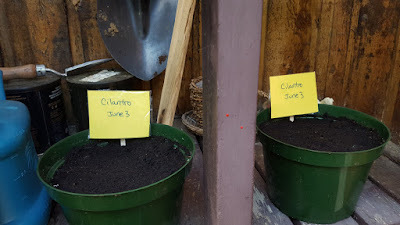 This is "Green bean, yellow bean and cucumber land"; and I planted more cilantro since we are nearly finished the one pot I started in April, it goes fast! This area will be the Moon Garden. It's fenced really well because Morning Glories are toxic to animals and we have curious pups. 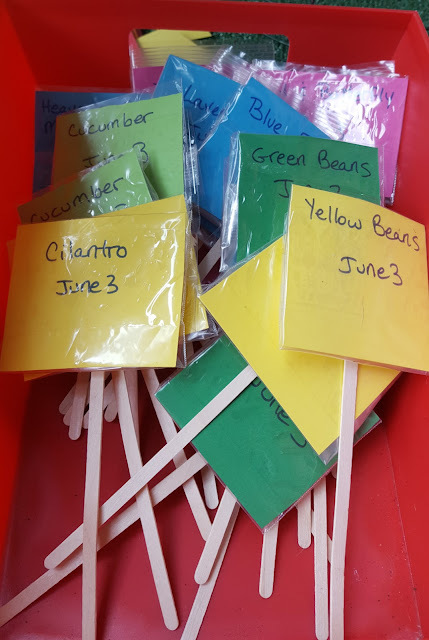 I colour-coded the labels, the blue labels are for the Moon Garden; and the pink ones will eventually be up on the porch, various pretty flowers to see and smell. :) I'm very excited about the Moon Garden, I've never done something like that before and I chose flowers that would look nice during the day and Moonflower that blooms at night. I also chose Blue Fescue ornamental grass because it shines silver at night too. I would love to find time to add some fairy garden elements to this area too! Now that everything is planted and safe from the critters, I can kind of take a bit of a break, at least from planting! :) Yesterday was mowing and weed-whacking day. Today it's supposed to pour rain again, so the neglected housework should will finally get done! 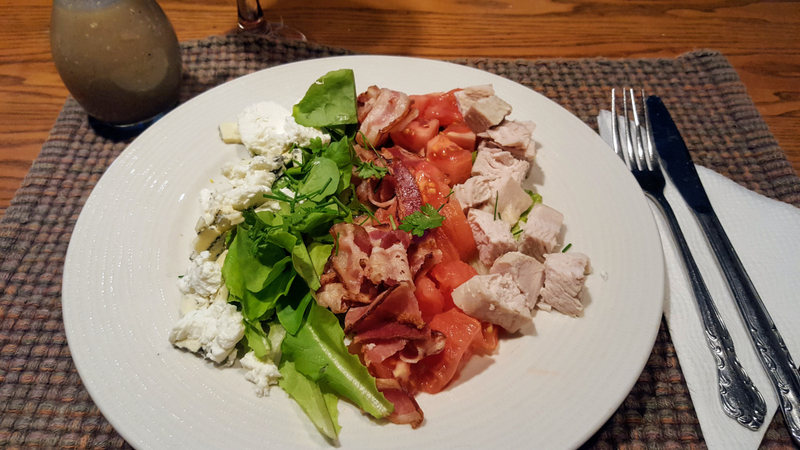 For dinner on Saturday, I made a Cobb Salad with Worcestershire and Dijon Vinaigrette from my "Salad" cookbook that Alex got me last week. I made the salad and he made the dressing. The entire meal was delicious and we enjoyed our homegrown greens so much! I have to make sure we always have a steady supply of lettuce going because we do eat a lot of it now. This is my plate minus the eggs which I can't handle too often anymore! The original recipe called for watercress which I didn't have; and avocado which would put us both in the hospital so they were omitted. The recipe calls for a Blue cheese and I also added some goat cheese. It was so good and satisfying! my lettuce is very slow to grow this year. it's so great to be able to just walk outside and harvest stuff. we've been hot but finally we are getting some cool weather so i am very happy! rain here today! How rewarding to have your own first harvests . . . all from your own hard work and planning! My salad greens are getting there but still too small to harvest. We had an inch of rain yesterday and now much sun today so that should give everything a boost. Lettuce should grow good in your climate, you might be able to plant some in the ground along a fence out of the way. Looking good. yummeh - that salad looks delicious - and anything with bacon is a friend of mine! i am very happy that you are harvesting your own food - sooo good for you! Hi Joyce :) I can't wait for the rest of the harvest...I hope my winter garden will be just as successful! Thanks Dawn :) I really can't wait to see the Moon Garden develop too! Wow, look how wonderful your lettuce greens are! Delicious too, I bet. 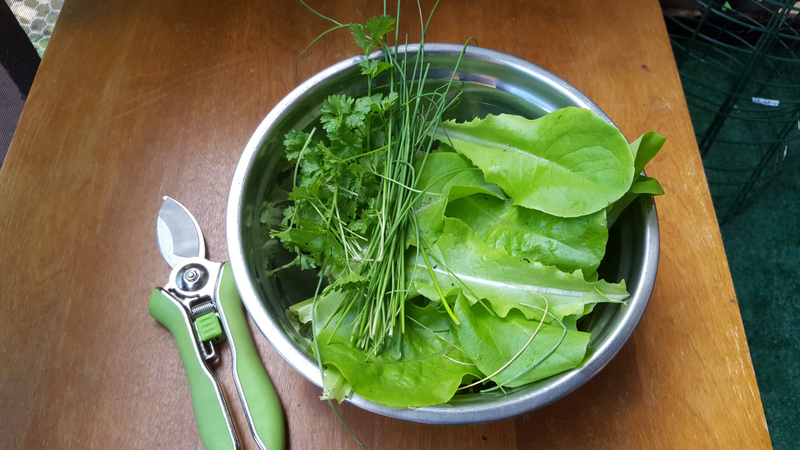 I remember picking my own lettuce for the first time many years ago ... garden lettuce is sooo good. I just saw mine peaking through the ground today and am very exited :) your garden looks already wonderful and will be even more when everything is green and blooming. I am almost done. I still need to move some more cow poop ... plant some squash and my beans and peas. Will take some pics tomorrow :) bravo sis, I am proud of all your work and how awesome it turned out ... now to your garden ... happy growing !!! 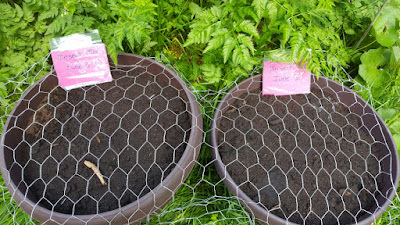 It's been raining here quite a bit so I still have things to plant and I have almost used up my flat leaf parsley...I should plant more of that. I only have one of that and one of cilantro. I love your weather proof signs...you're genius! 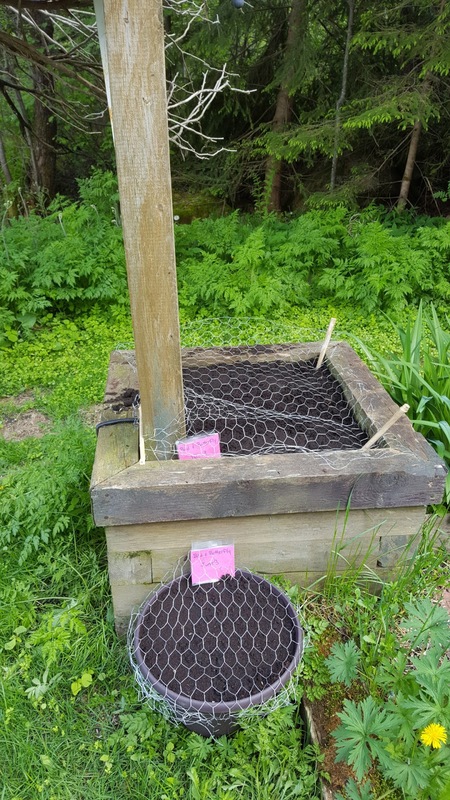 Plus, the fact that you put the planting date on them...genius! The Cobb Salad looks delish! Thanks Nik :)) The lettuce was the most delicious I've ever tasted, lol...at least because it was mine!!! I'm looking forward to having a real in the ground garden in the future so I can plant more things too. We've had so much rain there I'm pretty certain every thing I planted is just going to rot. Last year it was the drought, this year too much water. Look at that!!!! YAY for you!!!!!!! That plate looks delicious! Hiya! 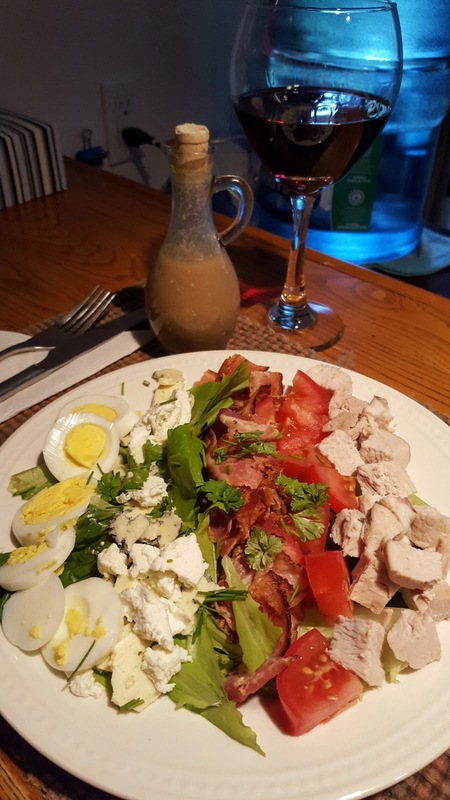 We love Cobb salad....very filling and good for a summer dinner. All your hard work that you've done is going to make your garden just shine! I can't wait to see the Moon Garden. I had one years and years ago and it was so pretty in the moonlight. Loved it! Lettuce is so nice when you grow it yourself and the taste is second to none! If you have rabbits around your parts watch them around the fescue. Rabbits think fescue is what chocolate is to humans. Delicious. I had so lovingly planted a bunch of fescue plants in my one main garden, by the weekend they were all shorn down. And they did not come back. Darn rabbits!! So now my main flower garden is mostly shrubs and flowers they do not eat - but will still try. Because they are rabbits. I hope the start of summer has finally found you. We have been anywhere between 22 and 30. Crazy heat and humidity already and its only June. I shudder to think what July and August will bring. 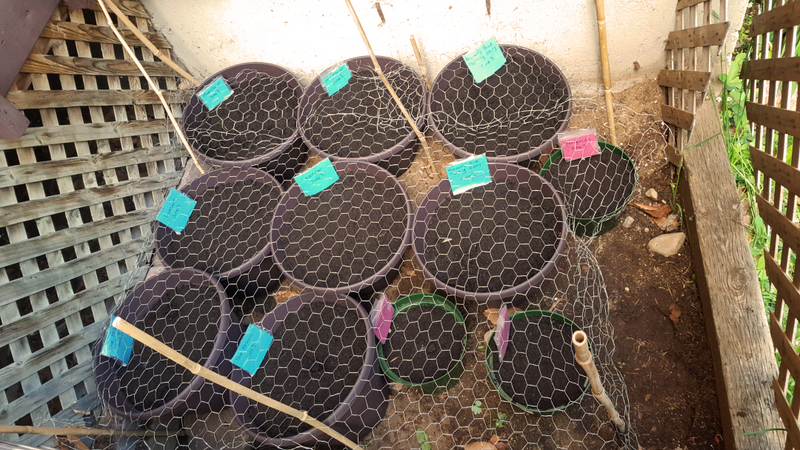 I am so glad that you plannted all of your seeds and I am pretty much sure that all will grow gloriously front of your eyes and give you true happiness and sense of achievement as gardening is soul building process that what I believe. Your salad and harvesting looks just delightful to me and as I used to harvest parsley and some others vegetables form my mom's and then later from my own garden I can imagine well you excitement! Hi Harry :)) We've had a lot of rain too, way more than usual, but I covered all of my newly planted seeds with poly tarp, I was so paranoid. I didn't want my first garden to be a flop. 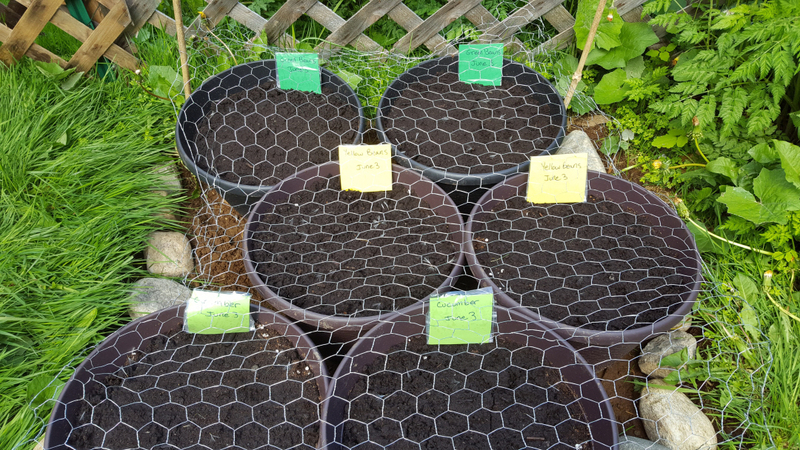 There has been sun the last few days, so fingers crossed that'll get the seeds to germinate!! Thanks 1st Man! :) It's so delicious! We're having more tonight with spinach from the garden too. Wonderful to harvest from your own garden isn't it? :) I still have a lot of catching up to reach your harvest though!! Hi Dianna! :)) Thank you! :) I love how things are turning out and I'm proud of my hard work. I think we have radishes ready to be picked tonight! And more lettuce and spinach too. It's wonderful. Oh thanks for the tip on the wabbits :) We LOVE fescue...I'll have to keep an eye out because I certainly don't want to attract them. 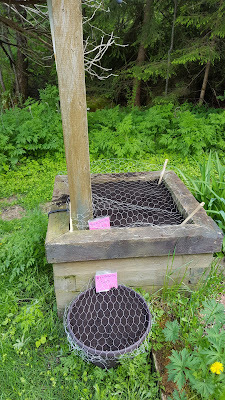 Mind you right now everything has chicken wire, but once the fescue is growing, the chicken wire will come off. It's times like this I'd love to have a really expensive trail cam!!! Oh yes, summer arrived! I'm on the porch in my bathing suit right now! :) Humidity, I can take or leave right now though! Beautiful! And how amazing how much our salads look alike. Love that you put Worcestershire sauce in the dressing, brilliant! I will probably do that next time. Hi Suzie :) I was trying really hard to make it look like a real Cobb! :) The Worcestershire sauce is fantastic in the dressing.